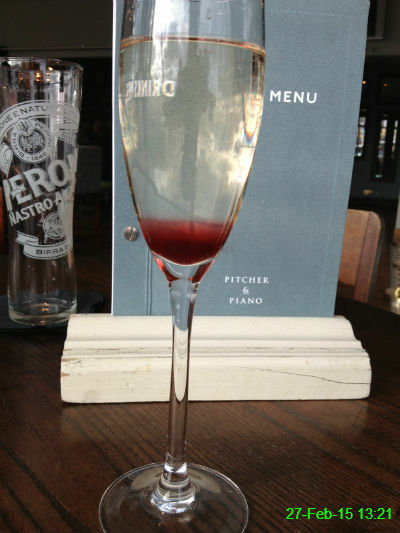 As usual, Rosie's was one of the pubs visited to celebrate a 1-0 home win over Aston Villa. 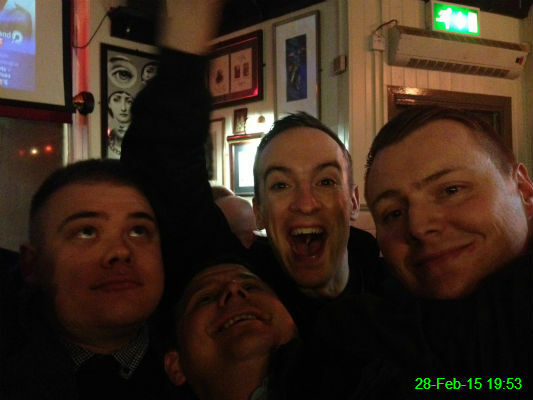 Michael, Chris, Matty and James were no doubt singing along to one of the jukebox classics at this moment. If only this was my life. Last week I spotted a machine in Eldon Square that said it could calculate body fat and BMI as well as just recording your weight. I didn't have 50p at the time but I did this week so I decided to give it a try. It has my height down as a full foot taller than I actually am, which throws all the calculations out. The time is wrong, as it was around 8.25am when I used it. 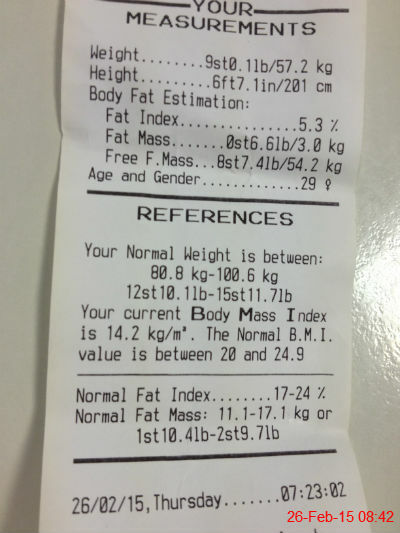 Just out of curiosity I walked the short distance to the Weigh House to check the weight figure as well and discovered I'm actually 8st13lbs (57.1kg). The only bits it got correct were my age and gender, which I entered myself. Worst 50p I've ever spent. 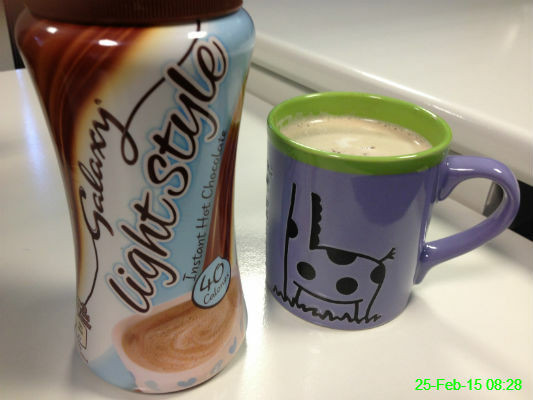 I'm going through a bit of a hot chocolate addiction at the moment so I decided to invest in a more sensibly priced option rather than getting it from cafes/takeaway places all the time. This one was expertly mixed, if I do say so myself, and therefore a fantastic start to the day. I used the back of this magazine to scribble down the statistics from my cardio workout today. 6.3km in 30 minutes, burning 485 calories, although I know better than to believe everything a machine tells me about calorie burn. 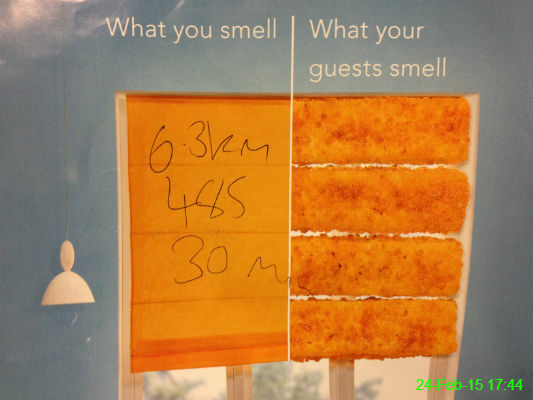 I couldn't help coming away from the situation wanting fish fingers for tea. 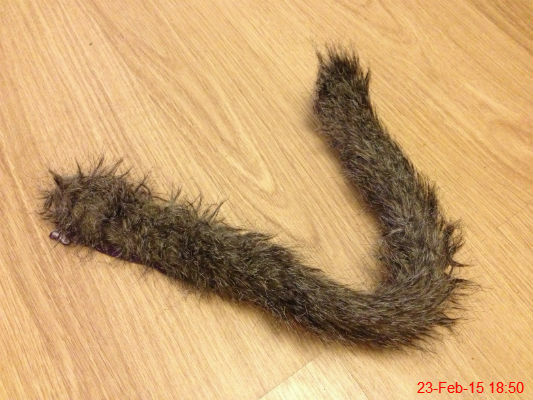 Not a furry snake, but the lining for the hood of my winter coat, which I've removed while it goes in the wash. I like the food at The Priory in Tynemouth but I find the number of errors in spelling and grammar in this short sign incredibly annoying. 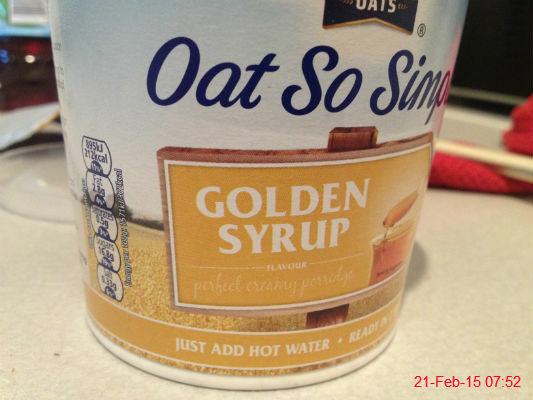 This morning I ate porridge for what I believe to be the third time in my 29 years. Amazingly, I discovered I do like it after all. 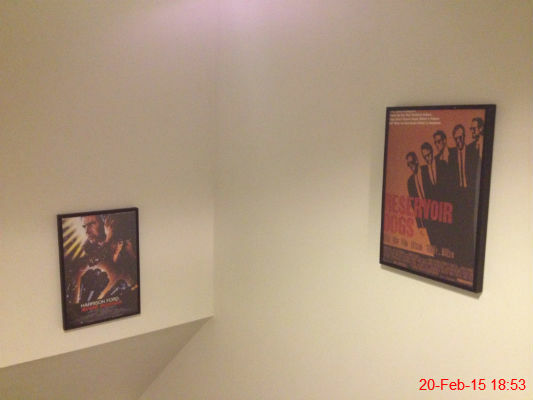 Michael has had these pictures for ages and finally got round to putting them up over the stairs. I'm not a massive lover of either Blade Runner or Reservoir Dogs but it's something to look at. 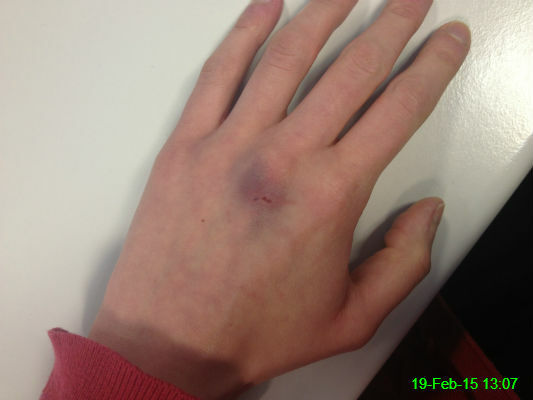 It's clear to see I've been involved in a scrap with a fearsome opponent... Oh okay then, I bumped my hand on a leaflet stand while taking my coat off at the Weigh House and it immediately became an absolutely massive bruise and throbbed for the rest of the day. Ow! I've taken to holding a plank position for a few minutes while I run my morning bath, in an attempt to strengthen my core, because it usually feels like jelly. Today my form suffered because I was distracted by my sister's name appearing as an answer in the crossword I was looking at while mid-plank. 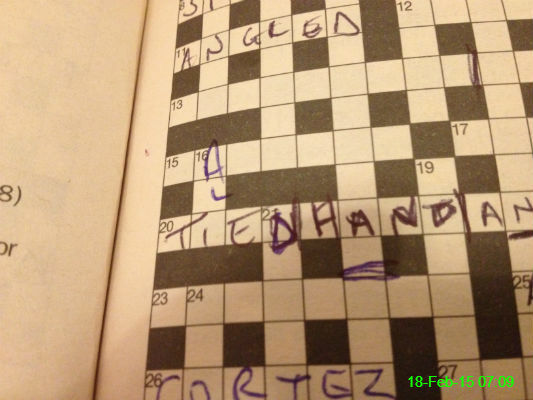 Obviously her name is Ali, not "Tied Hand An..", "Angled" or "Cortez". Though now I think about it, Cortez is a pretty cool name. 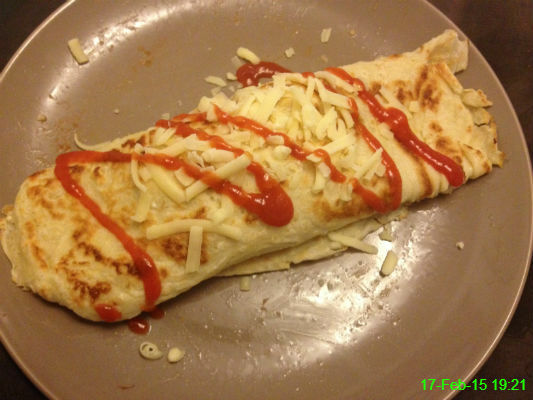 Our pancakes were in the style of burritos, filled with chicken, peppers, onion, cheese and jalapenos. They were fantastic, and I have to say I feel sorry for anyone having boring pancakes with lemon and sugar today. 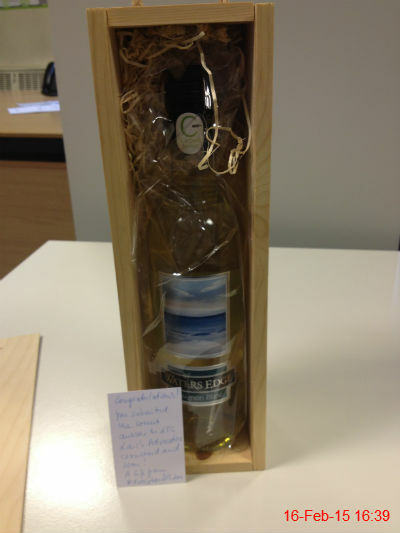 I entered a crossword competition set by one of the firms we have dealings with at work, and today this bottle of wine arrived with a card telling me I'd won! 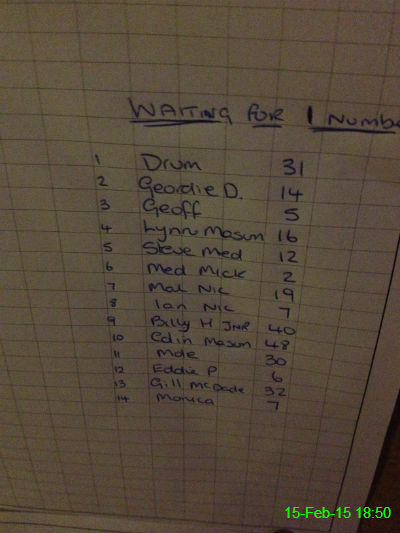 They have my name down as Gill but here's the proof that I'm just waiting for number 32 to win the Grey Horse bonus ball pot, which currently stands at £600. 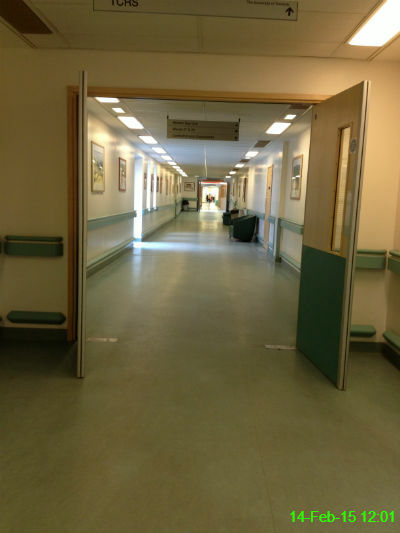 I travelled down to Middlesbrough to visit my mam in the James Cook Hospital. Her ward was very easy to find as it basically involved walking in a straight line right through the hospital. 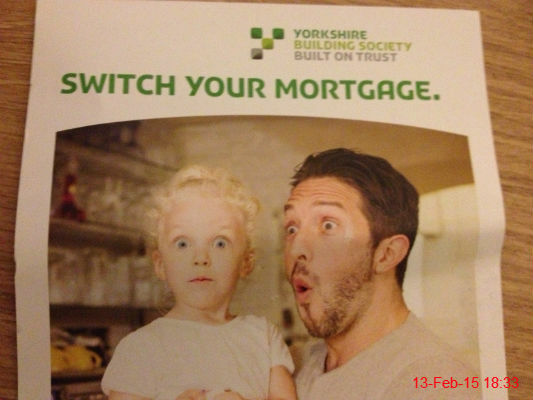 This isn't the most appealing suggestion considering the terrifying looks on their faces. 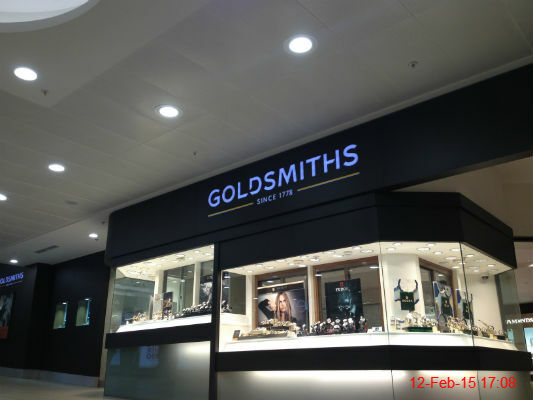 I was a little early for the bus so wandered through Eldon Square and even had time for a few minutes sitting down and watching the world walk by this jewellers. 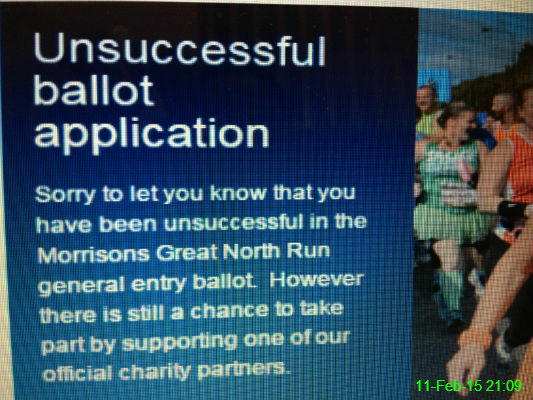 I was unsuccessful in the Great North Run ballot so I decided not to do it this year. Which lasted a matter of hours, before I signed up to run for Scope. Maybe this year I'll actually do enough training! 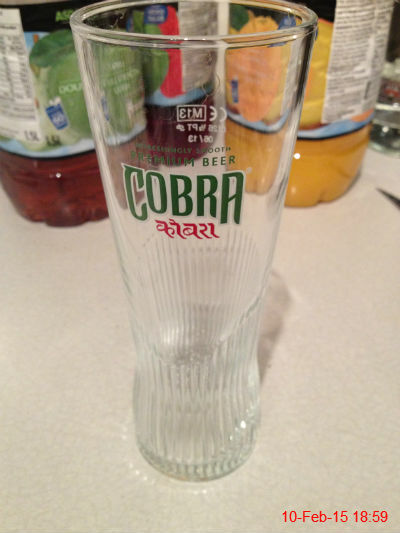 Yes it's another specialist glass. We've totally run out of space. 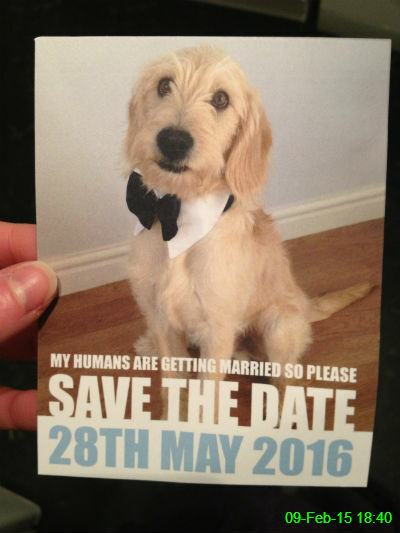 We received this note to tell us when Matt and Abby are getting married. Archie's facial expression and outfit are priceless! 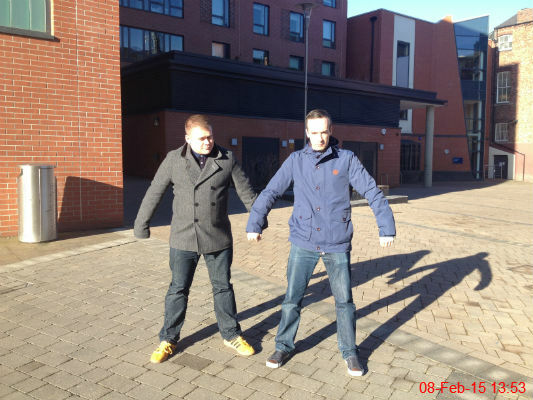 Michael and Matt posed like a right pair of football hooligans on the way to the match. 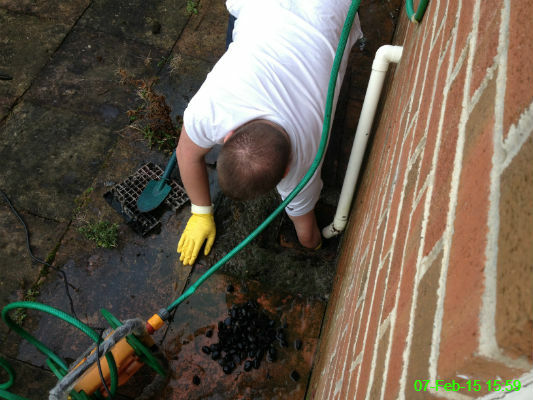 We had a blocked drain so Michael did some rummaging around to find out the cause. The black stones piled up at the bottom of the photo were the culprit. 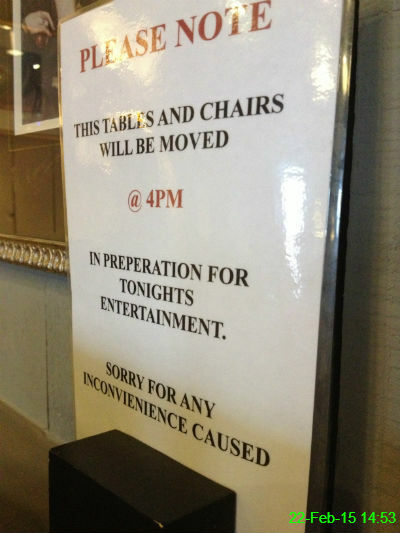 I have no idea what they were doing in there, but the problem seems to be fixed now. 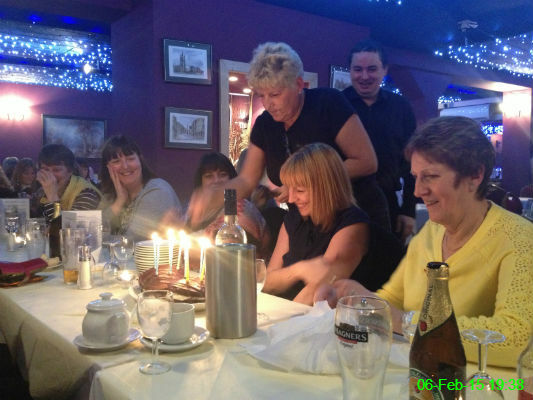 A group of us went out for a meal and since Margie has a big birthday coming up, we all had some cake. Thursday is still always the day on which I get weighed. 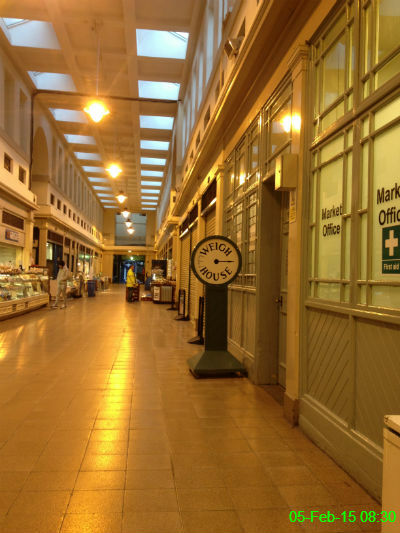 This morning, that meant waiting patiently for the Weigh House to open because I was in town a little early. I felt like the Greggs on the left hand side of the photo was staring at me and waiting for me to cave in and buy a cake. 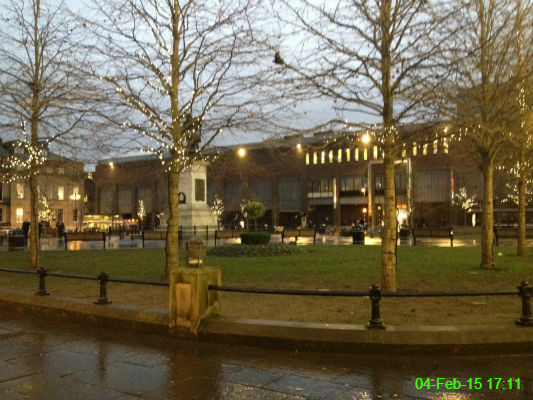 I thought the little fairy lights in these trees were quite cute. I was really hungry when I noticed this Burger King advert so I was very tempted to hunt around in my purse for 99p. 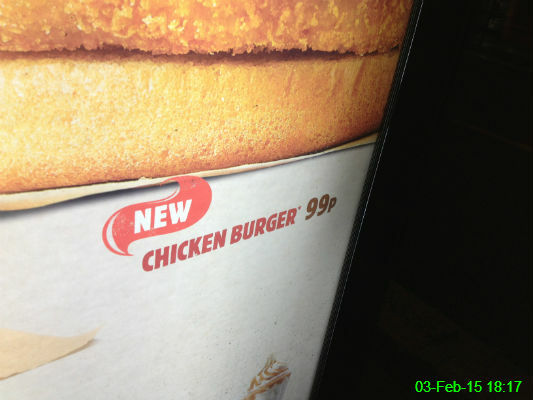 I decided against it, because I don't really imagine that Burger King do great chicken, especially for 99p. I went to pick up sufficient nifedipine to get me through the rest of the winter. 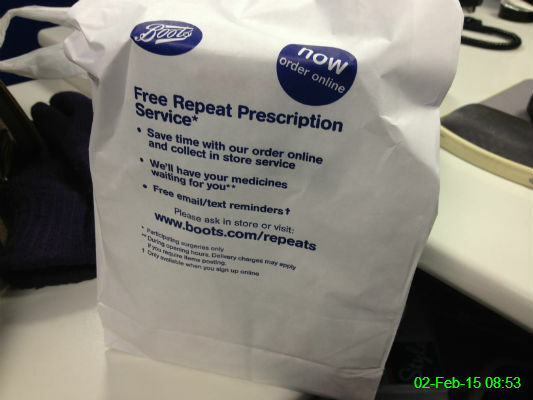 I had my usual rant about the price of prescriptions, but at least this way I should be able to feel my fingers at least some of the time. 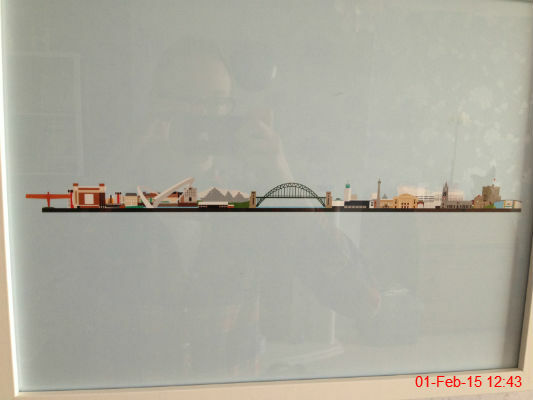 I love this adorable print that Mam and Chris have on the wall in the lounge.